Another common false argument today, I call the ‘transparent proxy’ argument. A person argues a particular point of view based on the claim that he is merely presenting the views of someone else: a Saint, a Pope, a priest or theologian, or even the Church Herself. The person admits no role of his own, other than explaining the position of another, and he admits no possibility of interpretation or misunderstanding, in effect claiming to be a proxy for another. The person claims to be transparent, i.e. to have no effect on the meaning of what is being presented. This argument is false because no proof is presented that the person’s explanation is accurate. Often it is the case that the person has introduced substantial distortions or new ideas into the work of the other person. Christopher West represents his teaching on theology of the body as if he were merely explaining what Pope John Paul II taught. Yet many of his critics have pointed out substantial differences between his work and that of the late holy Pope. A sincere reading of both author’s works, in my opinion, reveals little similarity between the two. Jimmy Akin claims that his ideas on salvation and predestination are not the errors of Calvinism but the position of St. Thomas. His commentary on Calvinism (A Tiptoe through TULIP) repeatedly claims that he is merely presenting the ideas of Augustine, Molina, and especially Aquinas. He does not admit that he is offering a relatively unique (and in my view erroneous) position on salvation. I’ve had discussions with a number of different fellow Catholics on various topics in speculative theology (i.e. on open questions about which the Magisterium has no definitive teaching). 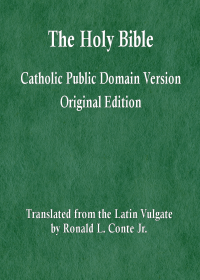 It is not uncommon for the person to claim that he or she is merely presenting the teaching of the Church, without any interpretation or opinion, even when no definitive teaching of the Magisterium on the topic can be quoted. 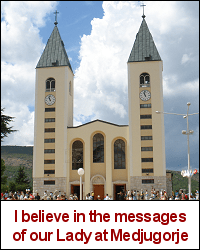 Instead of saying, I believe that… or my understanding is… , the person claims ‘Holy Mother Church teaches this, and not that’. Such an assertion would be fine if it were supported by a theological argument, or at least by citations or quotes from magisterial documents. But often it is not. Instead, the person goes on to explain at length what the Church supposedly teaches, admitting no role for his or her own interpretation and opinion, admitting no possibility of error on his part. The fundamentalist Protestant says that Sacred Scripture is infallible and I agree. But then he gives an interpretation of a passage and I disagree. The common reply from a fundamentalist in such a case is to claim that my disagreement is merely an erroneous opinion or interpretation. But if I say, ‘What is your interpretation?’ his reply is that he has no interpretations or opinions; he is merely presenting the teaching of Sacred Scripture, and Sacred Scripture is infallible. The fundamentalist thereby makes himself out to be infallible, since he admits no possibility for misinterpretation (or any interpretation at all) on his own part. In truth, no sinner is a transparent proxy. There is always the possibility for misunderstanding, misinterpretation, misapplication, or the introduction of new ideas. If you wish to claim that you are correctly presenting the ideas of another, you must support that claim with a sound argument. The mere claim (ipse dixit) that you are presenting the views of another cannot stand on its own. I’ve learned that it is usually useless to argue with such persons. I offer my theological opinion, they claim that their position is correct and mine is erroneous because they are merely presenting the ideas of a Saint or Pope, or of the Church. When asked for an argument to prove such a claim, what is usually provided is merely an explanation of what is supposedly the other person’s position. Quotes might be presented, but then they are explained with a rather heavy interpretation, leaving the proxy still not transparent.